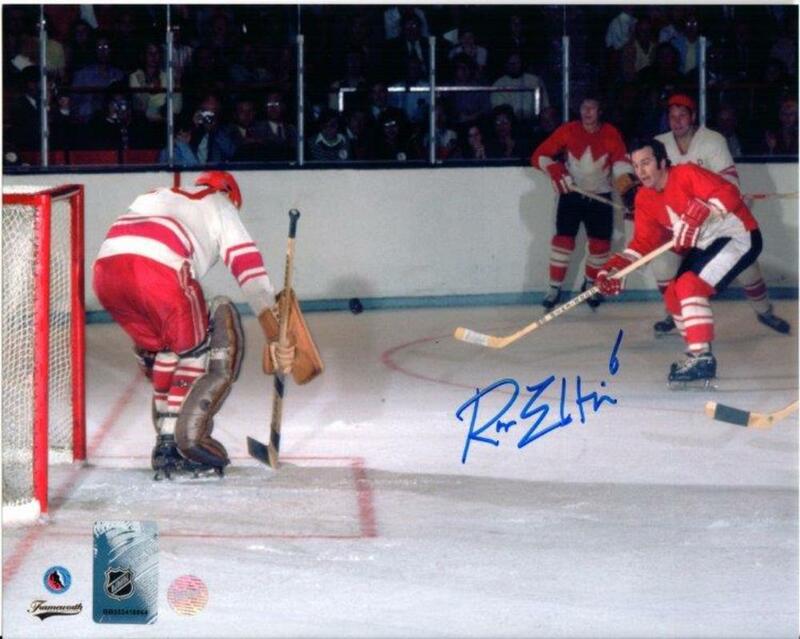 This photo was personally signed by Canadian Maple Leaf, Ron Ellis. The Lindsey native played a total of 1034 games accumulating 640 points. Ellis also played for Team Canada at the Summit Series and in the World Cup of Hockey in 1972 and 1977. Ellis was a 4-time all-star and won a ring in the 1966-67 season as the last Stanley Cup the Leafs have won. A Frameworth hologram and certificate of authenticity are included to ensure the legitimacy of the signature. Frameworth is an official licensee of the NHL & NHLPA.